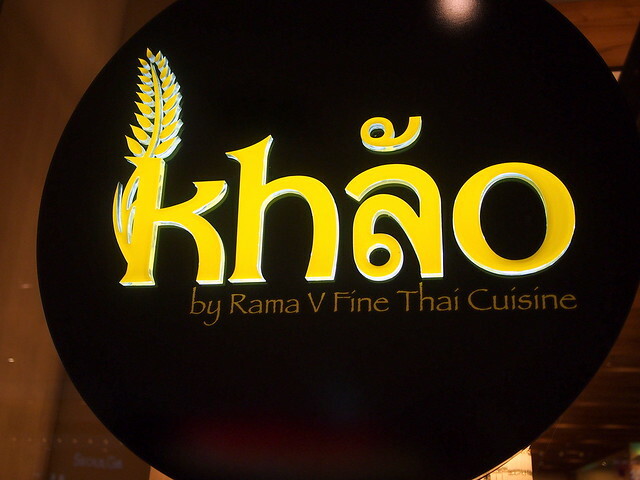 The name “Khao” means rice. And rice, is a symbol of cultural identity and global unity.. rice is south east asia’s most popular food. It shapes religious observances, festivals, customs, cuisine and celebrations. The main food in Thailand is of course rice. Everyone eats it. But we can’t really eat rice alone so we have to have something to go with it. Here at the newly opened Khao, at Setia City Mall, Shah Alam, the concept is to have as many main dishes as possible, to go with rice. Most of them are hot and spicy and that is what Thai food is famous for! You pick them and mix them up, and select the set that best suits your mood and taste buds for the day. The sets are priced at approximately RM20 and they taste divine! It comes with 3 plated starters, soup and fruits. You can add on from the ala-carte menu anything you see that tickles your fancy and as you see fit. 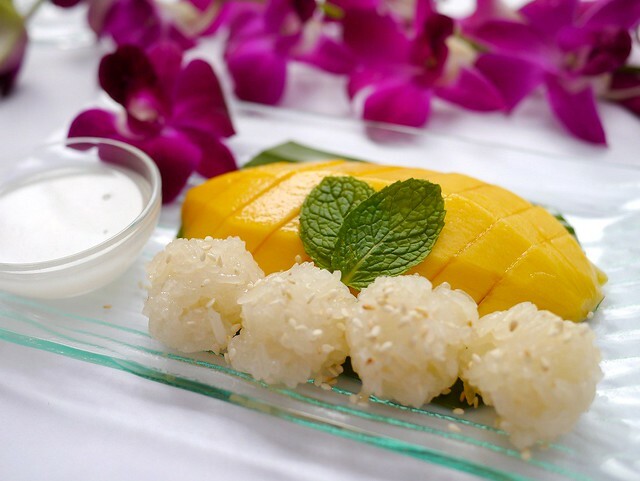 The hot favourites that you get at Rama V, are also available here at Khao such as the Mieang kam, and Chor Ladda and from the desserts section, the Mango Sticky Rice. Chef Blue who used to be the head chef at Rama V, now oversees the kitchen at Khao. Speaking to Chef Blue, he tells us that it was his mother’s fantastic cooking that ignited his passionate interest in food. Chef Blue really loves to eat, so he figured that he’d better learn to cook too! According to the Bangkok native, he first stepped into the kitchen when he was an adolescent. 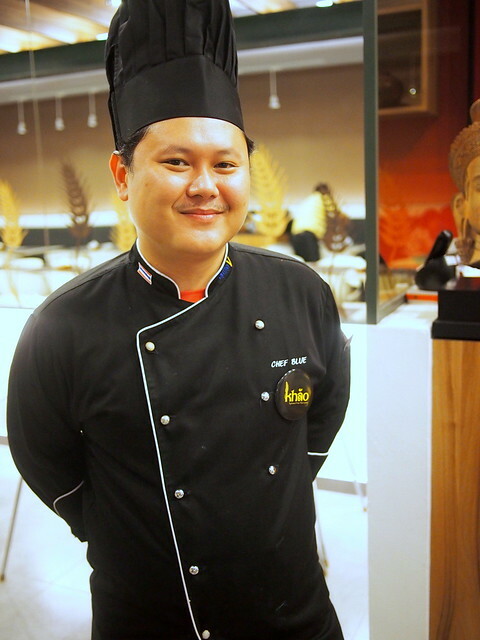 Chef Blue Ruthira, 35, subsequently enrolled in Dusit Thani College, Bangkok to pursue a professional culinary course. After graduation, he worked as a waiter in several restaurants but found his true calling in the kitchen. 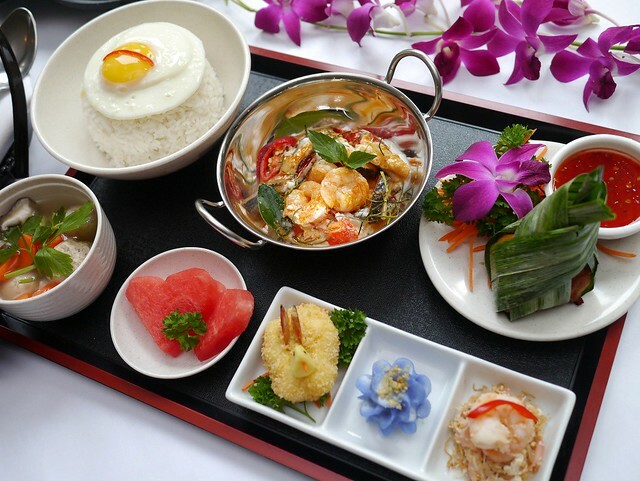 Today, Chef Blue is content to keep local diners satisfied with his selection of Thai specialities. So far, the food looks and taste delicious at Khao. I would say that things are looking good for Chef Blue and the Rama V group! the baby faced, Chef Blue! 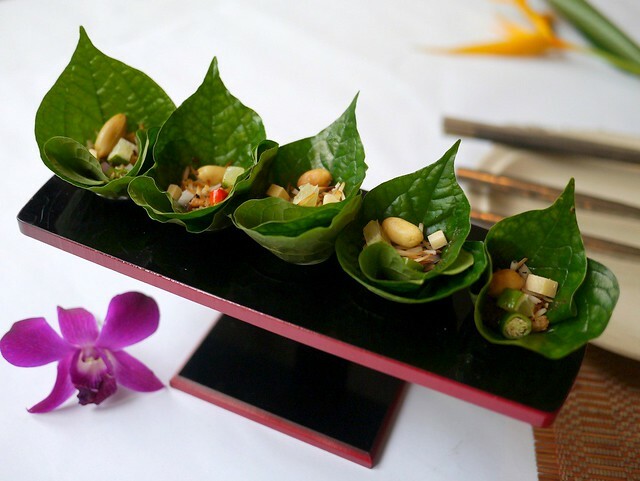 Don’t forget that this Father’s Day, 17th of June – Father’s Eat For Free promotion at KHAO! Bring your dads out to KHAO for some stellar Thai cuisine, won’t you. the super decadent Mango Sicky Rice is a must have! Mieang Kam served like California rolls.. so pretty! Oh everything looks good. 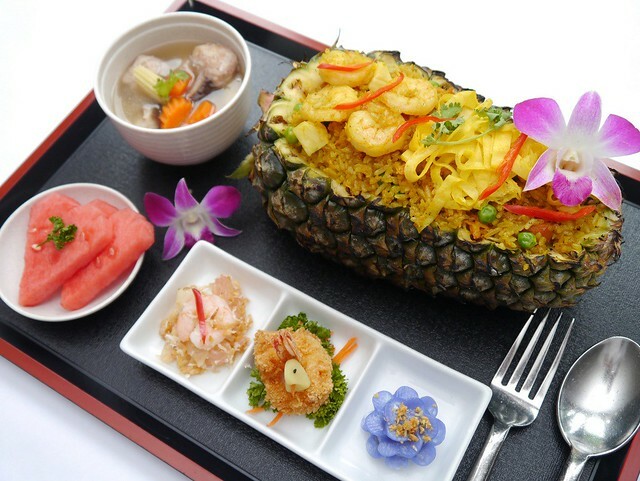 The presentation of the sets are so pretty… I want the pineapple fried rice! Tried this place today but flavours are not there. Presentation all ok. Portion for mango sticky rice also very small. Well pass em the feedback, Ta!